would you please assist as i am going to holiday in Hawaii and was told i could take my iphone4 to use with a local pre paid sim card. My iphone has been unlocked from our service provider in Australia which is Vodafone which I’m told is all I have to do. Is this the case and what prepaid sim would work best ? Look at our Simple Mobile sim. Unlimited Talk, Text, data. Text is unlimited USA / International. You can add $10 for international calling for use in calling home. Calls to Australia are 2c/min to Landline and 8c/min to Mobile. We can deliver to you in Australia by regular mail or fedex, or send to your hotel for your arrival. Hotel delivery via Fedex is $9.99. You place your sim order here. We would process and ship your sim along with instructions for configuration. We will email you requesting your arrival date USA. We will schedule the activation of your sim card for two days before arrival and email you the mobile number at activation. You will arrive the USA, insert the sim, configure the phone and off you go. I am from South Africa and Our family is leaving for the US to arrive in Las Vegas on the 14th of December. I have an iPad and would like to know what would be the best option for a data bundle. I also have a Blackberry smart phone. We will mostly communicate via email and skype with our families at home. Please advise best option for a sim card. Please visit – here – for an iPad sim card. Please visit – here – for a blackberry sim card. Our iPad sim has 3GB data. This is more than enough for web surfing, navigating, communicating via Skype. Our iPad offer is Plug and Play. You tell us the arrival date, and we activate the iPad for your arrival. Our Blackberry sim is a rock solid offer on Simple Mobile featuring unlimited BB BIS service, unlimited USA talk, unlimited USA / Global SMS and unlimited 3G/4G data based on the capabilities of your phone. You would place your sim order. We would process and ship your sim along with instructions for configuration. We will email you requesting your arrival date USA. We will schedule the activation of your sim card for two days before arrival and email you the mobile number at activation. You will arrive the USA, insert the blackberry sim, configure the phone and off you go. The iPad is plug and play. Insert the sim, power cycle the device. Enjoy.. I am travelling to Las Vegas, San Diego & Los Angeles between 08 Dec 12 and 02 Jan 13 and am looking for a sim card to use with my unlocked android device. I travelling with another family and was planning to use to phone to coordinate things between us if we get separated or for when we go off and do our own things and want to meet up. A combination of voice and text will suit. Data is a nicety but not necessary. Can you explain some of my options? I am travelling from Australia. Thanks for your email. Based on what you express as your needs on your trip the America, we suggest an H2O Wireless sim card for your trip. The H2O Wireless sim will allow unlimited USA talk, unlimited USA/Global SMS, and up to 2GB of 3G/4G data based on the capabilities of your handset. H2O Wireless runs on the AT&T USA network and so coverage will not be an issue for you. We will of course provide configuration instructions so you can setup data on your android phone. I would like some advice on the best plan. The unlocked Iphone3 (with the US sim) will be the primary number. 1. Can i call my partner’s iPhone 4 (with Australian number)? 3. Can we text Australian mobiles? I think that’s it. There are so many of those unlimited plans, it is hard to know which to choose! Simple Mobile will give you unlimited USA talk, unlimited USA/Global text (SMS), and unlimited data. Data speed will be EDGE on the iPhone for the most part. You will sometimes get 3G, but we will promise you EDGE speed on the iPhone. Simple Mobile runs on the T-Mobile network and as such runs 3G on a different frequency from those offered on the iPhone. This is changing and so you might get 3G data as you move around as the network is being refarmed to allow 3G data on iPhones. Simple Mobile will tether over the slower data, and you can add $10 for international calling. This is the better way to call Australia mobiles and landlines as the rate is super low – 2c/min to landline and 8c/min – mobiles. 1. Yes you can call your partner’s Australian mobile number. I do suggest he unlock his phone and get a USA sim. 2. Yes you can tether with the simple mobile sim. Data might be slower, but yes you can. 3. Yes you can text Australian mobiles – Unlimited! 4. Yes you can call Australian mobiles at 8c/min. Just add a $10 ILD pin, or buy the sim with $10 included for international calling. Visit mrsimcard.com to learn more. Note*** – Your iPad is unlocked, and we do offer an iPad sim here. You can use an app like Viber or FaceTime, or Pinger on the iPad to take advantage of talk/text over data. Unfortunately this email has only just come through for some reason, so I’d not noticed the error. I’ve made a huge mistake with my travel dates – I’m NOT travelling in March, I’m travelling in May – the 2nd until the 12thMAY 2012. You will see the card has not yet been used/activated by me. Are you able to change the active dates for me, on the basis I’ve not used the card?? In this situation Carl purchased a Simple Mobile sim card in February for use in the USA in March. The sim was shipped to him and he provided a March travel date requesting activation. Thankyou very much for your swift delivery of my micro sim card for iPhone 4. 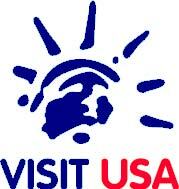 I am travelling to the USA on March 2nd 2012, and will be there until March 12th 2012. The sim he purchased is a prepaid sim for Simple Mobile which is activated when a plan is added and money is delivered to the sim. There is only one rule that is universal with prepaid service – “Once the line is activated, it can’t be un-activated / put back”. The service was activated on the date requested and would run for the ordered service length (in this case 15/30 days). Carl changed his travel days but not all is lost. This Simple Mobile sim lives for 120 days from activation so even though he has lost the use of the first month of service, he can simply Re-Up within 119 days of activation to again use the service. He does not need to purchase another sim card. He would Re-Up at mrsimcard.com using the Refill box at top right corner. I currently have a Japanese iPhone4, purchased through contract with Softbank Japan. I am interested in purchasing your Prepaid SIM card when I repatriate back to the US in a few weeks. Please help me answer the following questions. 1) Do I still need to jailbreak my phone? If so, is GreenP0ison the best software to do this? 2) I am looking at buying your (60 day) iPhone USA card for 169.99 USD’s as this should carry me forward to the release of the iPhone5. Let me confirm. This prepaid plan would take through 2 months of unlimited calls in the US, unlimited global texts (mainly US, Japan and Philippines), and unlimited internet surfing? Correct? 3) If I purchase, can I pick up in LA/Burbank? Or can I have it delivered to a hotel as I am repatriating from square 0. Please advise and I will make the purchase. 1. You need to Jailbreak and Unlock. Two processes. You will know your phone is unlocked if you can make a call with another sim card inserted. GreenP0ison – I do not know. 2. YES. Click here to see the sim you need. 3. Pickup in LA – No we do not have a pickup location in LA. Order online and select hotel delivery. We will ship the sim to your hotel / home in the USA and schedule activation for just before you arrive. 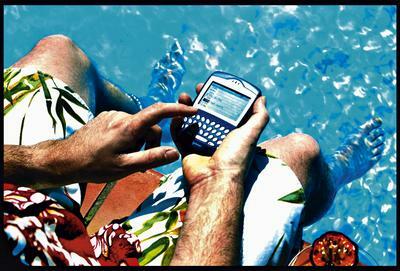 Blackberry on the Beach with Batelco Bahamas Prepaid Blackberry! MRSIMCARD is now offering Batelco Bahamas Blackberry service for use throughout the 300 islands of the Bahamas. Get your Batelco Sim at mrsimcard.com and stay connected with blackberry email, web, and BBM service while vacationing in the Bahamas. We have a preconfigured sim with 7 days of blackberry service available at mrsimcard.com. Setup is easy and the service simply rocks. Blackberry Plans: BTC has created a variety of prepaid packages which are all time sensitive. When you sign up for BTC Pre-paid Blackberry Service, you will receive BlackBerry Internet Service (BIS) which provides you with internet and data service while you are in the Bahamas. The Prepaid plans offer various service periods of 7, 14 and 30 days rather than a fixed one (1) month service period. Which plans are available with the Prepaid Blackberry Service? Weekly Plan (Seven Days) $12.99 per week. Bi-Weekly Plan (Fourteen Days) $21.99 every two weeks. Monthly Plan (Thirty Days) $39.99 per month. Activating Prepaid Blackberry ServicePlace sufficient funds on your prepaid account. – Fully charge your device battery. – You will receive a text message asking you to confirm that you want the service by replying by Text with the letter A back to telephone number 5000. – Type in the letter A and hit send. (NOTE THAT only the letter A should be in that text message you are sending back for confirmation. – You will receive a text notification that the prepaid service has been activated. – You will receive a second text requesting that you remove and replace your device battery to complete the activation. Upon activation, you will see the EDGE logo (in capital letters) at the top right corner of your BlackBerry device screen after a few minutes. If you only see “GSM” or “edge” in small letters, then your service has not been activated. When the above steps have been completed, your prepaid BlackBerry Internet service will be activated. You will now be able to configure your emails, connect to your friends with BlackBerry Messenger and access additional rich multimedia and social networking applications.